We are a band of brothers, a network of men in communities around the world dedicated to doing good in the service of God and our neighbor following our four core principles of Charity, Unity, Fraternity, and Patriotism. We are men of faith and men of action. We are the Knights of Columbus. The Knights of Columbus is the world’s largest Catholic fraternal organization with nearly 1.9 million members worldwide. One of the most active charitable organizations in the United States, the Knights of Columbus donated more than $173.5 million and 71.5 million hours of service in 2014. The Knights have an unbroken tradition that spans more than 130 years. The Fr. 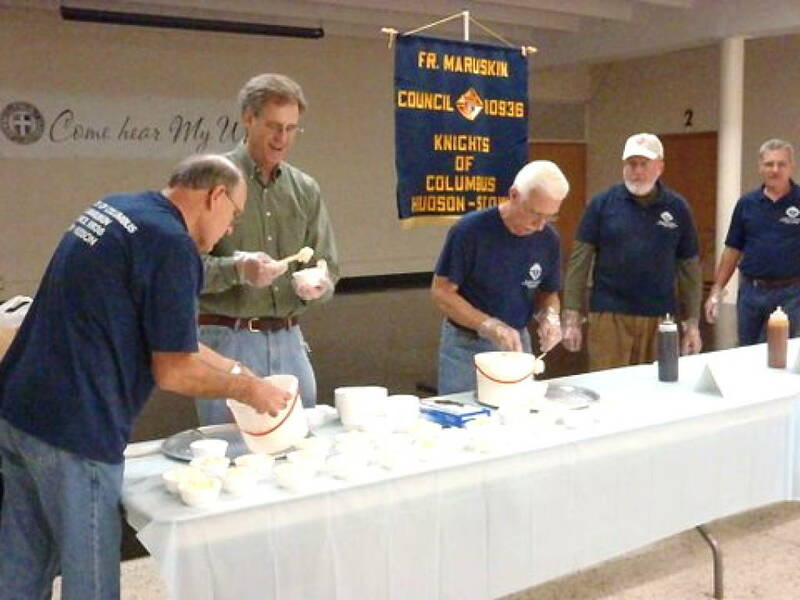 Maruskin Council #10936, serving the parishes of Holy Family, Mother of Sorrows, and Saint Mary; was formed in 1992 with 35 members and has grown to 118 members strong. Its mission is to provide service to Church, community, council, family, culture of life, and youth activities under the guiding principles of Charity, Unity, Fraternity, and Patriotism. 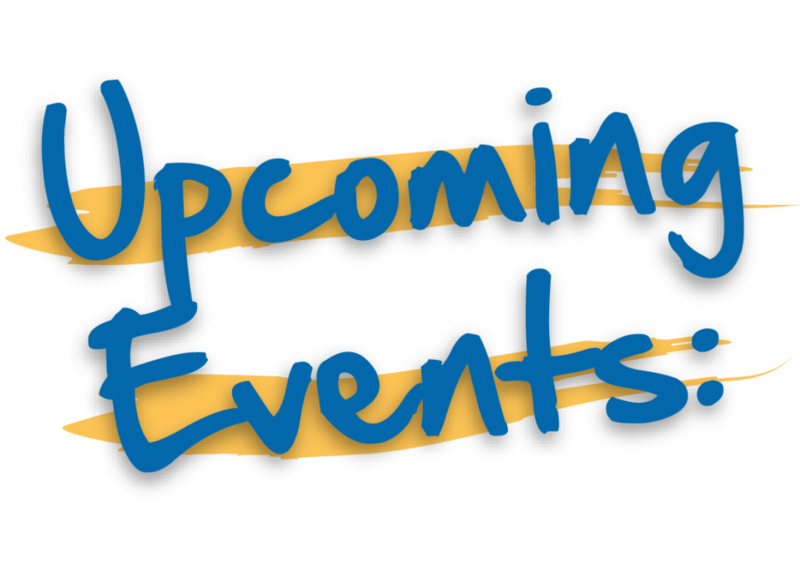 January 21 - General Meeting, 7:30 p.m. Room 1, Lower Church Hall, Optional Rosary, 7:00 p.m.
January 23 - Knight's lead Rosary at Stow-Glen Retirement Community 6:00 p.m.
Ways of supporting the community are numerous. The Fr. Maruskin Council participates in many activities throughout the year that support its principles of Charity, Unity, Fraternity, Patriotism. List of activities. 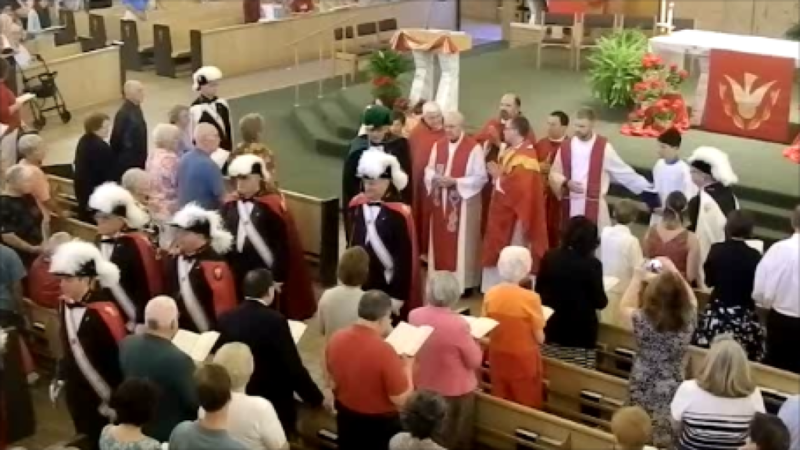 Becoming a Knight of Columbus can transform your life. As a Knight, you have the opportunity to support your parish, give back to your community, and grow in your faith. As a band of brothers, we are dedicated to doing good in the service of God and our neighbor. We volunteer our time to help others and provide support to those in need while growing together in the Catholic faith. Become a Member.